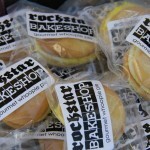 Since the introduction of food trucks last summer, Dallas’ food truck scene has exploded. These trucks serve everything from sliders to baked goods to bacon (yes, bacon! ), and follow their fans on four wheels, hitting them when they least expect it. 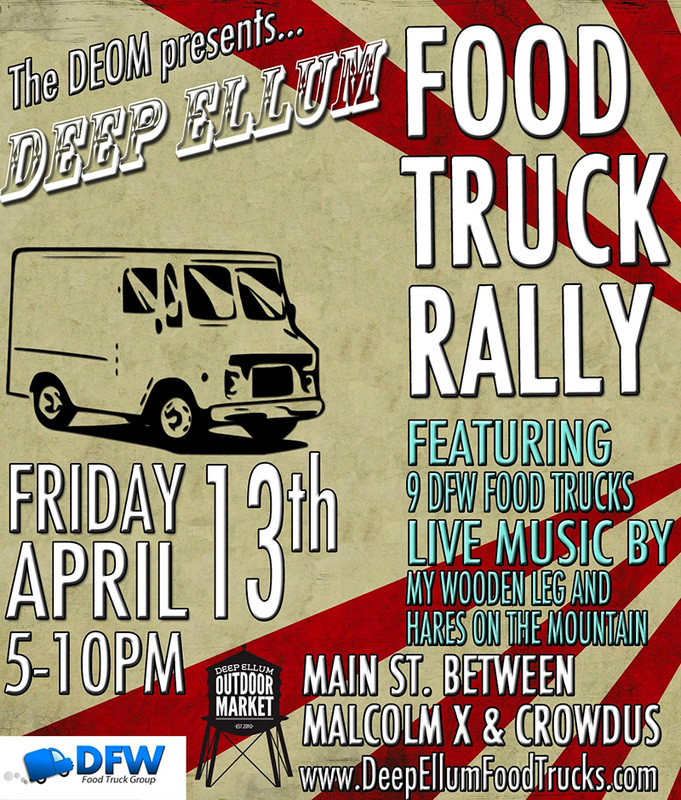 Tonight for the first time, Deep Ellum will shut down Main Street to welcome any and all food trucks from the DFW area. 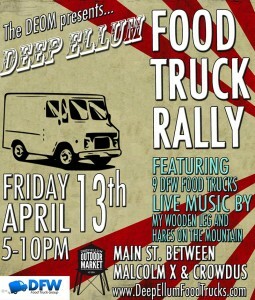 Headed up by Brandon Castillo, director of the Deep Ellum Outdoor Market, this event is sure to be a success. The Bacon Wagon serves a variety of bacon sandwiches. I’ve heard the bacon, egg and maple syrup served on french toast is great. Rock and Roll Tacos is a fan favorite and serves street-tacos the way they’re meant to be served! 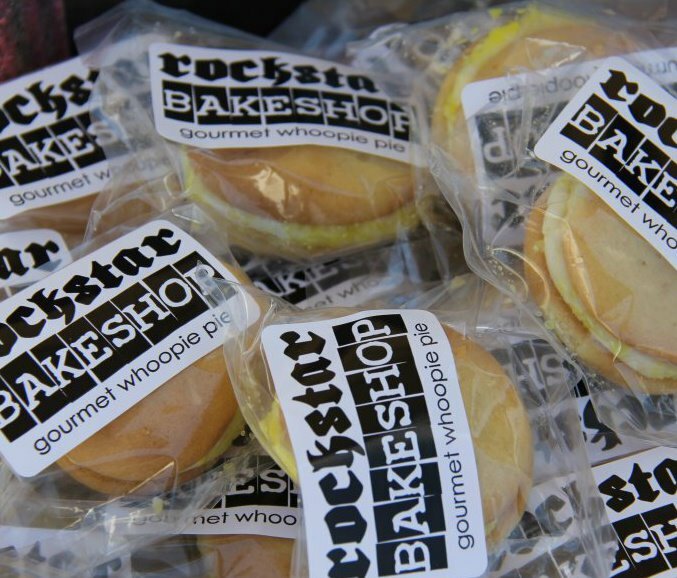 For dessert, try the whoopie pies served at Rock Star Bakeshop. For a full list of food trucks, click here. Where: Main St. in Deep Ellum – Main will be shut down from the intersection of Malcolm X to Crowdus. Why: Family friendly, live music, great food – stick around afterwards to grab a drink at one of the local bars.